The full moon on Sunday December 3, 2017 is at 11° Gemini. The astrology of full moon December 2017 is strongly influenced by planet Neptune. The full moon square Neptune at only 0°10′ orb means Neptune will be at its most sinister. Lies and deception, loss and disappointment, theft, scandal and illness are very real possibilities during this two-week moon phase. The December 2017 full moon falls within 24 hours of Mercury stationing retrograde plus Jupiter trine Neptune. While Mercury retrograde will only encourage more mischief, Jupiter trine Neptune brings faith and optimism. Read on to discover how to use the many positives of this spiritual aspect to overcome the hidden dangers of this deceptive full moon. A full moon is Sun opposite Moon which highlights opposing forces or polarities in your life. These can include your ego versus emotions, your work versus home, or what you need versus what you want. Inner tension and external pressures can lead to personal conflict and crises that drain your energy. A full moon has a relationship to the previous new moon. Your November 18 new moon goals can now be fine-tuned or completed, it is harvest time. You can make emotional adjustments in response to those new goals. The full moon effect lasts for two weeks up to the next new moon, in this case the December 18 new moon. At 11°40′ Gemini Sign, full moon December 2017 makes nearly exact aspects to Jupiter and Neptune. This is clearly shown is the full moon horoscope below where I have filtered out the aspects not involving the full moon. Jupiter trine Neptune is the strongest influence on the December 3 full moon. It occurs only 13 hours before the full moon and is a long-lasting aspect, remaining active for most of this moon phase. Fixed star Aldebaran at 10°02′ Gemini is 1°38′ from the December 3 full moon but is one of the most important stars in astrology. It is a bright star too, with a suggested orb of 2°30′. Fixed star Antares at 10°00′ Sagittarius aligns with the Sun so needs consideration for the same reasons as above. I mentioned above that Jupiter trine Neptune was the strongest influence on the full moon. More specifically, Neptune has the greatest influence shown above. The red square aspects are far stronger than the green quincunx and semi sextile. Jupiter trine Neptune is a very positive aspect but it its good points are severely mangled by the challenging square aspects. You will notice too, that the orbs involved in these aspects are extremely small, therefore making them extremely powerful. Moon square Neptune can bring strange feelings or experiences that leave you questioning reality. Chances are that you will not perceive things correctly. Do not make important decision based on first impressions. You could delude yourself or be deceived by others. You could be more vulnerable to deception and being taken advantage of. Deceitful people will easily recognize any confusion or weakness. Extreme emotional sensitivity means you will more likely be hurt. Avoid reading too much into dreams, psychic impressions or advice from fortune tellers. You will likely feel more empathy for others. You may experience suffering yourself or be touched by suffering in some way. Tell someone if you are suffering or lend a helping hand to someone in need. Sun square Neptune means the confusion, delusion and risk of deception and disappointment is far greater than with the Moon square Neptune alone. Neptune will have a weakening effect on your solar vitality and ego, as well as your lunar emotions. You will also be more susceptible to some psychological and health issues such as depression and infection. Problems will be difficult to find and misdiagnosis is possible. You will also be more sensitive to drugs and alcohols, especially if you already have mental health issues such as paranoia or depression. With Sun and Moon square Neptune it would be normal to feel insecure, guilty and apologetic. Over idealization and gullibility would lead to loss, scandal or slander. Stay above-board in all of your dealings to counter the deceptive influences of this full moon square Neptune . Take extra care with business dealings or negotiations because the predators will be circling. 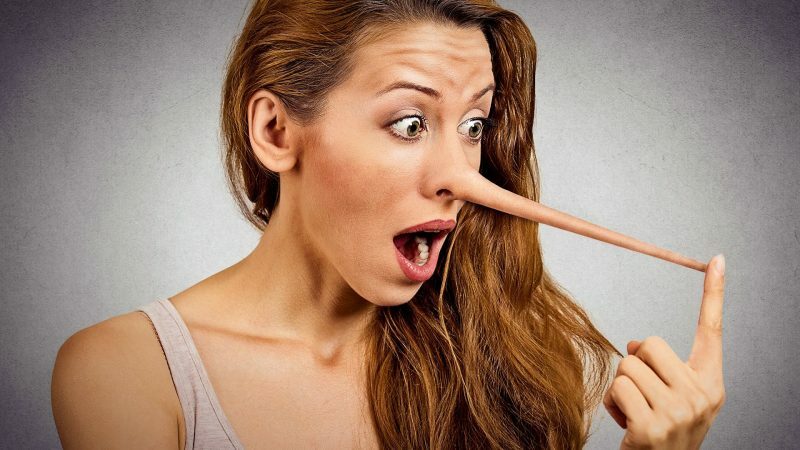 Personal relationships may suffer from dishonesty and deception. Secrets will be harder to keep or harder to uncover. As already mentioned, the Sun and Moon square Neptune is the strongest influence on full moon December 2017 by a long way. The 0°10′ orbs will bring out the most sinister side of Neptune so you should take its influence very seriously. Lies and deception, loss and disappointment, theft, scandal and illness are very real possibilities in all areas of life and affecting all types of people. The 180° axis formed by the Sun opposite Moon is the most powerful axis possible in astrology. In a similar way, two opposing stars form another powerful axis in the circle of stars above. Fixed star Aldebaran at 10°02′ Gemini is opposite fixed star Antares at 10°00′ Sagittarius. Aldebaran is the main star of Taurus Constellation and Antares is the main star of Scorpius Constellation. These are no ordinary stars either. Both are very bright stars and are very easily recognisable in the night sky. Aldebaran and Antares are so important in mythology, culture and religion they are known as Archangel Stars. There are four Archangel Stars, the other two being Regulus at 00°05 Virgo and Fomalhaut at 04°08′ Pisces. These four Archangel Stars are also called Royal Stars and the Guardians of Heaven. These Sentinels mark the four cardinal points and form a Cross in the Heavens. They are also associated with the Four Horsemen of the Apocalypse (Revelations 6) and the Chariot Horses in the Book of Zechariah. Aldebaran is a fortunate star associated with wealth and honor. The Bull’s Eye corresponds to Archangel Michael, the Watcher of the East, the White Horse of the Apocalypse and your spirit. Antares has an unfortunate influence associated with violence and destruction. The Heart of the Scorpion corresponds to Archangel Uriel, the Watcher of the West, the Black Horse of the Apocalypse and your body. Full moon December 2017 conjunct fixed star Aldebaran should bring opportunities for business success and wealth but also a happy home life and harmonious relationships. The full moon square Neptune means if you lie and cheat you are more likely to to find disgrace and ruin than happiness and success. It also means if you do find happiness and success, you must stay on guard against liars and thieves. It’s easy to imagine a simple misunderstanding caused by full moon December 2017 square Neptune spiralling into something much worse very quickly. This axis was heavily activated leading up to and during World War II. There is also the possibility of deliberate deception, double agents or paranoid leaders causing two of the Horses to jump the fence. From the Full moon square Neptune and the Royal Stars it is fairly obvious that you have to be honest and moral to benefit from this full moon. The Moon with Aldebaran may reward you with professional success and happiness in your private life if you are nice and play fair. The Sun with Antares will tempt you to take the shortcut by lying and cheating your way to success and happiness. If you do act dishonestly and use underhand tactics, the full moon may instead deliver you failure, disgrace and ruin. This is serious business because the full moon is square Neptune by a powerful 0°10′ orb. Negative thinking like pessimism, or thoughts of doing bad things, does not mix well with the deceptive and treacherous influence of Neptune. It will bring out any criminal tendencies or nastiness toward others. Mercury retrograde conjunct Saturn is overly critical and tries to place blame. Full moon December 2017 square Neptune means you are likely to criticize or blame someone else, probably an innocent person. You must show respect, especially for authority, tradition and your ancestors. A suspect past may catch up with you during this moon phase, or at least make you feel guilt and shame. Jupiter trine Neptune is the one big positive aspect for full moon December 2017. Its direct aspects to the full moon make it easier to work with. You can use the benefits of this aspect to overcome the negative influences coming from elsewhere. This uplifting aspect encourages hope, generosity and community spirit. Use it to counter the pessimistic influence of Mercury retrograde. Jupiter trine Neptune can be a spiritual quest to seek the truth but this will not be an easy quest with the full moon square Neptune. You may have fated encounters with priests, guru’s or psychics. Enlightenment can come through dreams, visions or meditation. Remember, when receiving spiritual guidance or using your intuition, also use your rational mind to filter out the nonsense. This full moon will increase the level of suffering and injustice in the world. However, your personal value system and sense of justice can reach a higher standard. Use your moral compass to avoid the temptations to be sneaky or mean. You can draw on this aspect to be more generous towards people less fortunate than yourself. Your charitable nature may extend to environmental causes or animal welfare. While other factors in the full moon chart may cause disappointment, loss and suffering, Jupiter trine Neptune will focus attention on social justice and human rights issues like the plight of refugees and other innocent victims or war and greed. Your enthusiasm and belief can cause others to congregate around you for a common cause. If full moon December 2017 directly impacts your horoscope decan you can read about it in your monthly horoscope. For more detail about how it affects your natal chart see Full Moon Transits. Fixed Stars and Constellations in Astrology, Vivian E. Robson, 1923, p.120, 137. The Living Stars, Dr. Eric Morse, 1988, p.84. Wondering if there may be any correlation with Trump announcement about recognizing Jerusalem as the capital of Israel ….